Thirty years after President Reagan seized upon an historic opportunity to bring down the Iron Curtain, there are growing indications that President Trump can make similarly historic strides in the conflict between the US and the new Evil of our time: Islamic extremism. In its first five months, President Trump’s presidency has witnessed dramatic shifts from the policies normalized by the Obama administration. Few are as significant or wide-ranging as the changes in American dealings with the Islamic Republic of Iran. The new attitude enjoys rare bipartisan support in Congress, and with good cause. The conciliatory policy of Trump’s predecessor resulted in an ineffectual nuclear agreement and tens of billions of dollars in sanctions relief for a regime that remains the world’s leading state sponsor of terrorism. President Obama had insisted the Deal would prompt Tehran to moderate it behavior, but since the nuclear deal, Iran’s regime has only become more belligerent and more prone to human rights abuses, both within its own territory and across the Middle East. In his speech at the Arab-US summit on May 21, Trump emphasized that Tehran is responsible for much instability in the region. From Lebanon to Iraq to Yemen, the Iranian regime funds, arms, and trains terrorists and extremist groups that spread destruction and chaos. For decades, Iran has fueled the fires of sectarian conflict while openly advocating mass murder, vowing the destruction of Israel, death to America, and ruin for many nations. Among Iran’s most tragic and destabilizing interventions is its support for the Syrian dictatorship of Bashar al-Assad in the midst of its unspeakable crimes. But the Iranian regime’s longest-suffering victims are its own people, as President Trump has rightly pointed out. Iran has a rich history and culture, but the people of Iran have endured hardship and despair under their leaders’ reckless pursuit of conflict and terror. The US has a strategic and moral imperative to push back. The new administration has strengthened ties with adversaries of the Islamic Republic. It has also increased sanctions on Iran’s dangerous ballistic missile program and taken steps toward isolating the Islamic Revolutionary Guard Corps (IRGC). The overwhelming majority of Iranians have become disillusioned with the regime. The world saw this in massive uprisings in 2009, but by reaching out to the tyrants ruling Iran, the Obama administration helped doom them to violent suppression. Nevertheless, there are still constant reports of protests over unpaid wages, minimum social warfare, rampant corruption at the top of the regime, and so on. These trends point to the popular support that exists for regime change. But the question then becomes whether that popular sentiment has the necessary organization to bring it to fruition. Some contend that there is no such movement and that the opposition is fractured or lacking in support. In that case, the best strategy would be to merely contain the regime. But Iranian Supreme Leader Ayatollah Khamenei has repeatedly stated in recent weeks that any change in Tehran’s behavior would be tantamount to the regime change. Faced with this attitude, containment is clearly not a realistic possibility. A growing number of observers are making the case that there is a viable alternative. 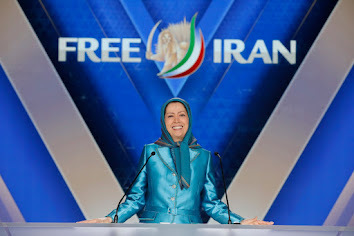 They point out that unlike many other cases in the Middle East, the Iranian opposition is organized in the form of the National Council of Resistance of Iran. It has an identifiable female leader, Maryam Rajavi, who has a progressive, democratic ten-point plan for the future of Iran. The support among the diaspora is evident in its annual major gatherings in Paris (scheduled for July 1st), which draw tens of thousands of Iranian expatriates and their international supporters. It has solid bipartisan support among US congressmen and senior national security officials from the past four administrations. For years the level of opposition support inside of Iran was an issue of dispute. 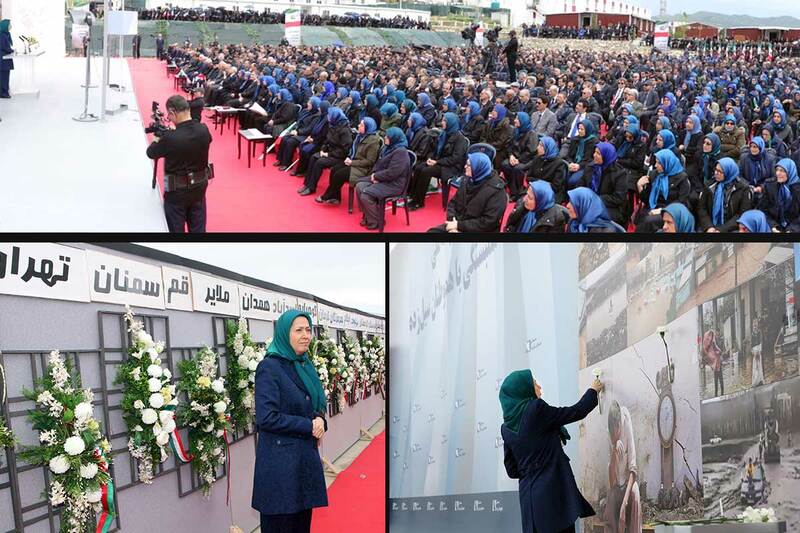 It has been true that the key movement of the coalition, the People’s Mojahedin Organization of Iran (POMI/MEK) has witnessed the brunt of the regime’s suppression and some 100,000 of its activists have been executed over the years. One noticeable change in the Iranian political landscape has been a substantial upsurge in domestic activism of the MEK. 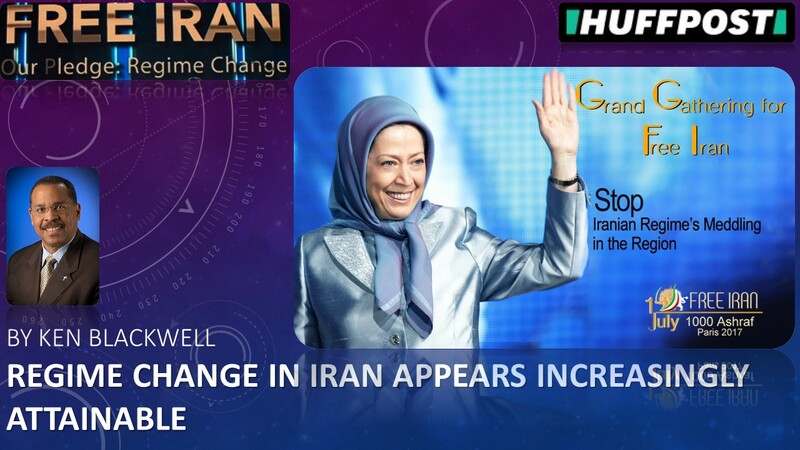 Its activists throughout the country have been risking arrest and torture by hanging banners and posters in major express ways and walkways urging regime change and support for Maryam Rajavi. The July 1 rally is expected to be viewed by millions, via a banned Resistance television network. The Trump administration has moved Iran policy in the right direction but has yet to exploit the unique opportunity to turn the page against the ayatollahs for good, for the betterment of the Iranian people and the world as a whole.